McALLEN — United States immigration policy at the southern border has shifted due to what Homeland Security Secretary Kirstjen Nielsen on Thursday called an overflowing of her agency’s facilities, leading to mass releases of immigrants to the streets of McAllen as city leaders attempt to help care for the hundreds of new arrivals every day. Instead of referring immigrant adults to federal court in McAllen for prosecution, Nielsen said in some cases federal authorities are releasing undocumented immigrants with a notice to appear that instructs the immigrants to come before an immigration judge at a later date. This process is reminiscent of the so-called catch and release policy during the Obama era, which President Trump has repeatedly denounced. During the Obama-led program, undocumented immigrants were issued the same notices, but Nielsen in a press conference at the McAllen Border Patrol station on Thursday firmly denied comparisons to the catch and release program. Immigration attorneys have questioned this explanation of overcapacity, noting that U.S. Customs and Border Protection has hardly brought cases to the McAllen federal courthouse for prosecution in recent days. 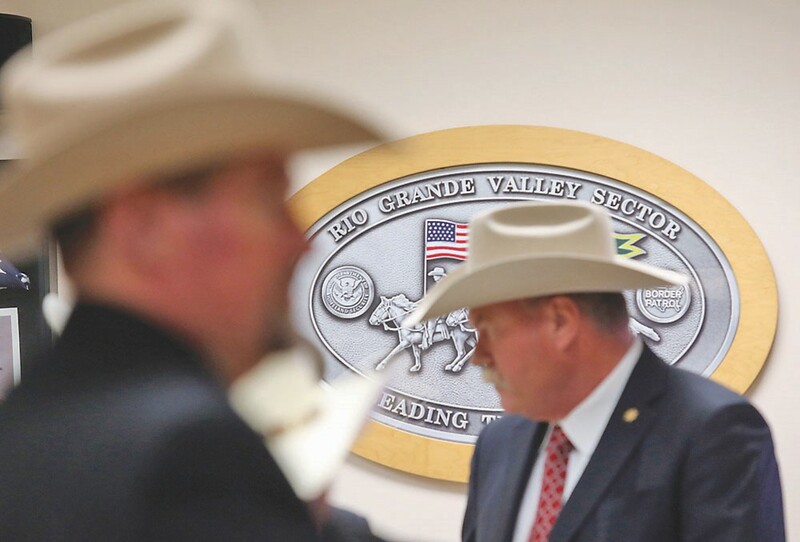 On Thursday, there were 11 illegal entry misdemeanor cases brought to the McAllen federal courthouse, the same number of cases that were brought on Monday. These numbers are unusually low. 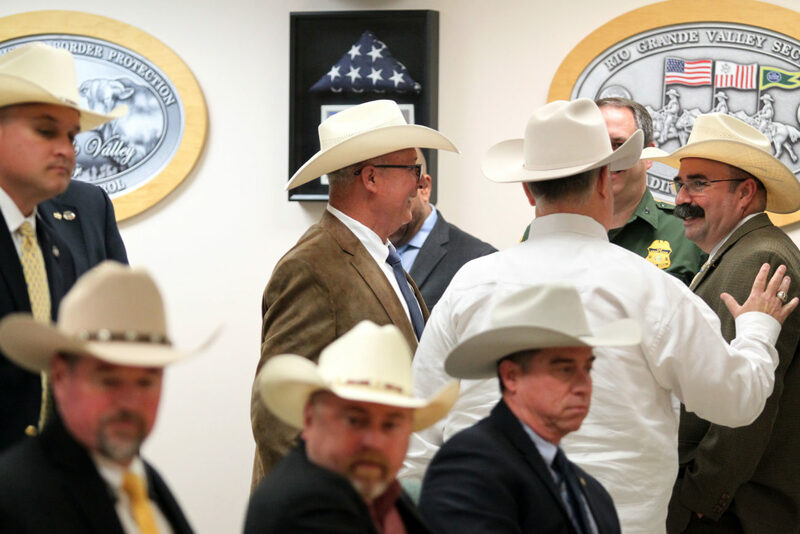 In January and February, almost all weekly totals for misdemeanor illegal entry cases at the courthouse exceeded 400, with daily numbers often averaging well over 100. Now, as Trump, Nielsen and many elected officials across the country have discussed the increasing numbers of migrants crossing the southern border, authorities are referring far less cases for prosecution in federal court as they have done for years. 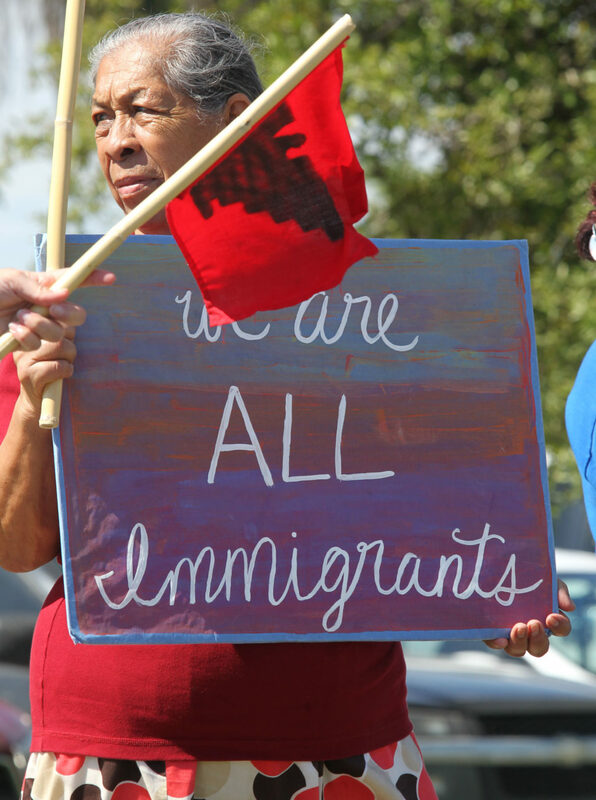 Some migrants have also said they have been in federal custody for longer than 72 hours, the longest amount of time that authorities can hold undocumented immigrants. 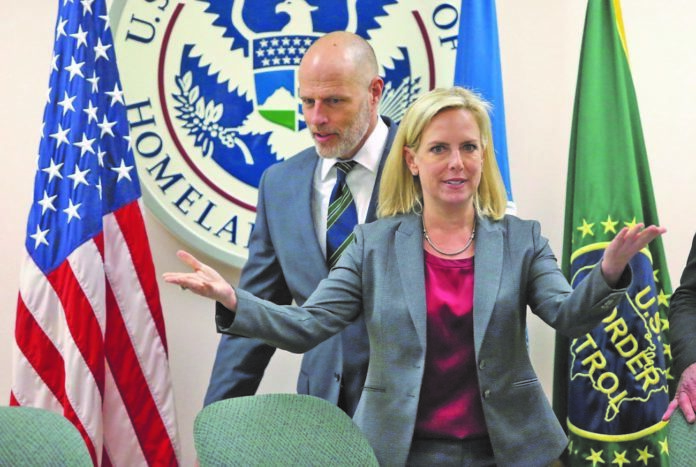 Vitiello and Nielsen called on Congress to change immigration law and to send DHS more resources to deal with, or in some cases deter, immigration. A group of protesters gathered Thursday outside the U.S. Border Patrol station in McAllen in opposition of Nielsen’s arrival there. 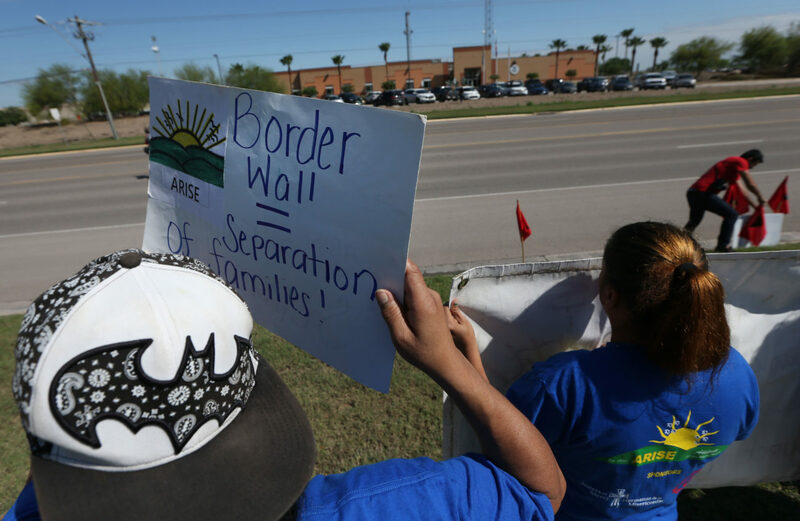 They held up signs specifically in protest of the Trump administration’s border security policies that in 2018 separated immigrant families at the border and this year declared a national emergency to build a wall along the U.S.-Mexico border.